Welcome to the second block post for the EPIC Harry Potter Quilt Along 2019! Today is Week Two in the Block instructions for piecing the Hermione Selfie block! 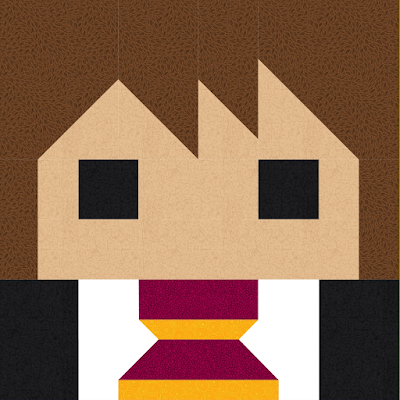 To download the HERMIONE SELFIE printable PDF, click here. Thanks for doing this quilt along. I am glad there are smaller blocks, and as usual, even though I don't have a clue what I'll do with the Harry Potter blocks, I am quilting along. Yay. Have fun, I’m sure you will find a use for it. I’m a single parent on disability and waiting for fabric. I’m a newcomer to quilting so fingers crossed my temperamental sewing machine cooperates. My daughter and I are huge Harry Potter fans so I had to do it!